Mostly people do not associate breadsticks with a healthy food. Typically the nutritional value of breadsticks are fairly low. Some people do use sesame seeds but the amount of sesame seeds used in breadsticks are not significant to influence its nutritional values. I had all of this in my mind while I was planning to make breadsticks and decided to use 50% of whole wheat flour to boost the nutritional value of my breadsticks significantly and hence call them healthy breadsticks. Did you ask “What are Breadsticks”? Breadsticks are dry cylindrical shaped bread with a thickness of a pencil. Lanzo Torinese, a north Italian baker, invented the recipe of breadsticks. 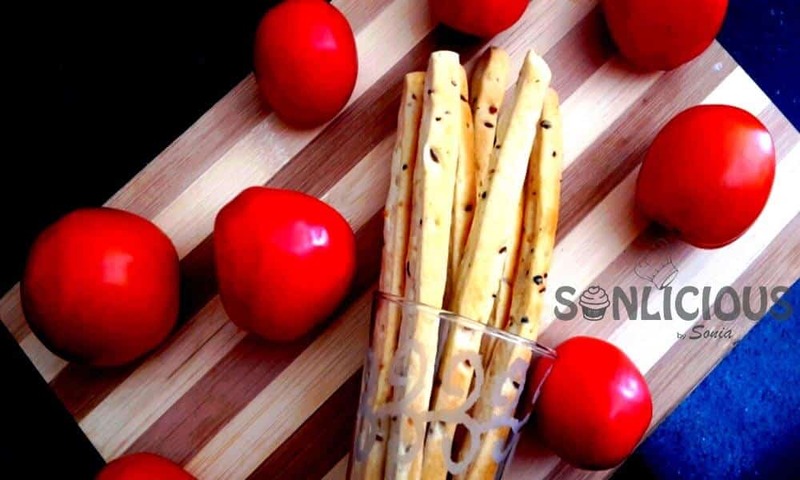 Breadsticks are served as an appetizer along with soups or garlic sauce and parmesan cheese. Healthy breadsticks are always going to add to a healthy soup. Freshly baked bread at home is a delight for everyone. 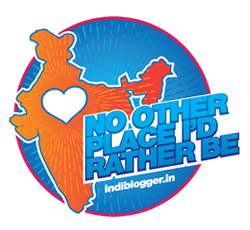 I am an experimental baker and never stop experimenting if a recipe of a baked product excites me. 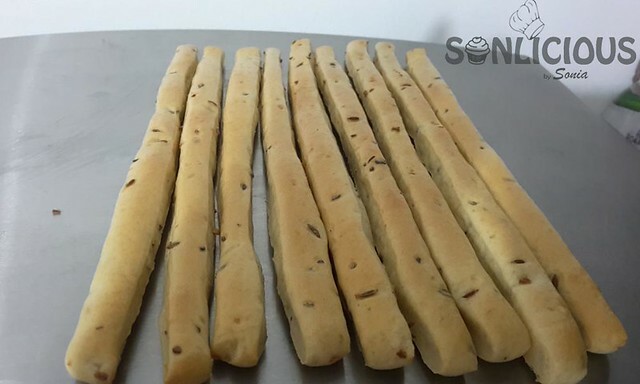 I have been experimenting with whole wheat bread, and semolina bread however, it’s time to experiment on these easy homemade breadsticks. So far, I was baking flavored bread to substitute the breadsticks, but this time I thought to make a perfect combination of soup salad and breadsticks. I love to add flavor to my bread instead of applying any spread. We all know the benefits of ginger. Who can deny the importance of ginger tea and especially in the winters? With this thought, I flavored my breadsticks with Ginger and cumin seeds. Trust me, the mild flavor of ginger and roasted cumin seeds, did the magic. My soup sticks turned out to be super delicious. I was happy that I finally nailed this down. 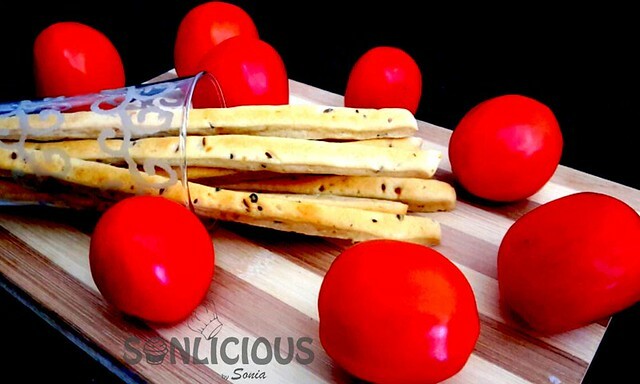 Try the recipe, enjoy the breadsticks and let me know your experience by commenting on the recipe. In a bowl take lukewarm water. Mix sugar and yeast and let it rest until it froths. In another bowl, take Flour, grated ginger, roasted cumin seeds, salt, and oil. 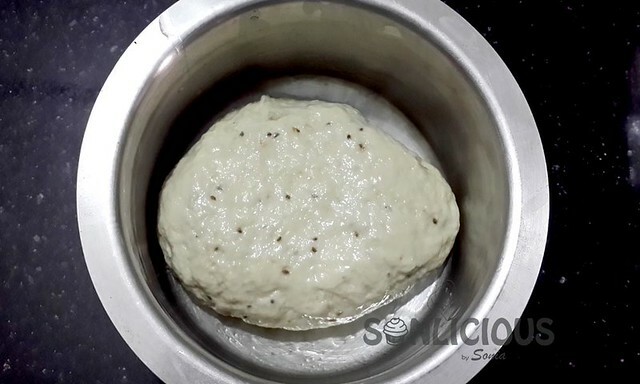 Add Yeast solution to it and make a smooth firm dough. Keep this dough in a greased bowl and cover it with cling wrap. Let it rest until doubles in volume. Now take this dough out on a dusted surface and punch it to release the air. Knead the dough for 5 minutes. 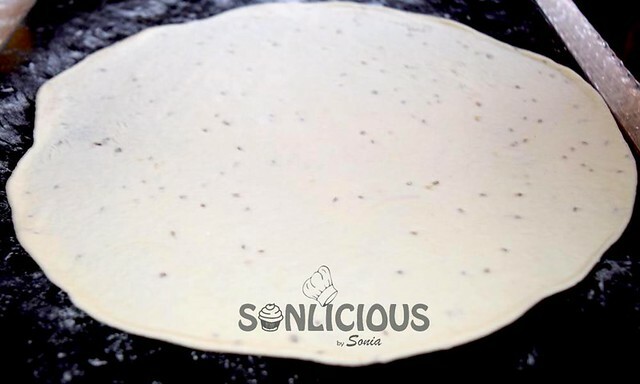 With the help of a rolling pin, roll it into a sheet of thickness ¼ inch. Cut equal strips from it with Pizza cutter or any sharp knife. Make sure that all the strips should be equal in size, shape, and thickness. Place these strips on a greased baking tray leaving some space in between. Brush these with milk and keep aside for 15 min for the second rise. Meanwhile, preheat the oven to 200 degrees Celsius for 10 minutes. Bake the strips for 15 min or until turn golden. Take these strips out and place on a wired rack to cool. 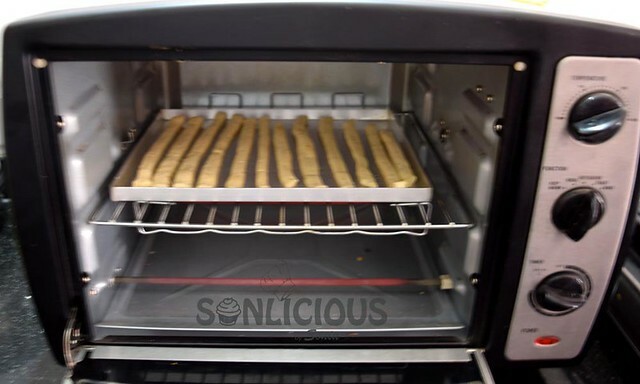 Your healthy soup sticks are ready to serve. Store these in an airtight container. You don’t find healthy breadsticks in the market. 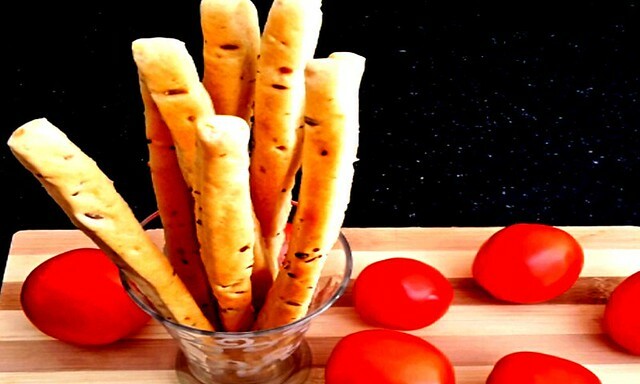 Follow this step by step recipe and treat yourself with easy homemade healthy breadsticks. What’s the shelf life of these? Also, please guide if I want to make a version where garlic is predominant. Praachi as we are not using any preservatives so these will stay good up to one week in an air-tight container. 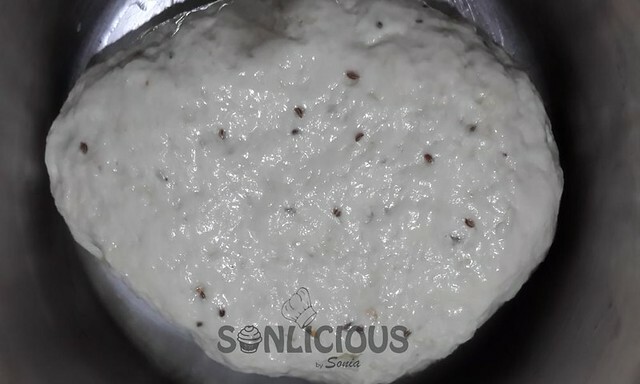 You can use garlic powder while kneading the dough to get garlic flavour. For second rinse means? U have to brush them again with milk? Before playing in oven? The second rise means that the dough needs to go into proofing second time. Yes, you brush them with milk before putting the bread in the oven.